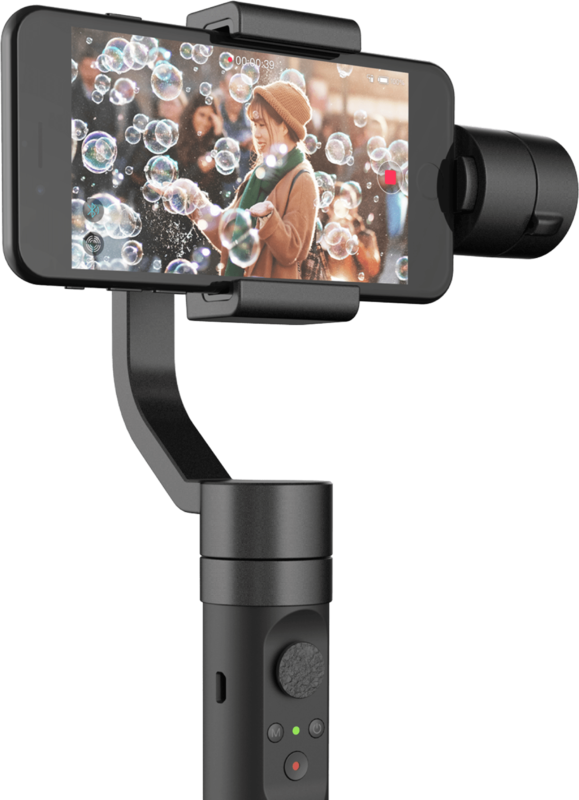 With the YI Smartphone Gimbal you can capture incredible professional looking footage on your smartphone. 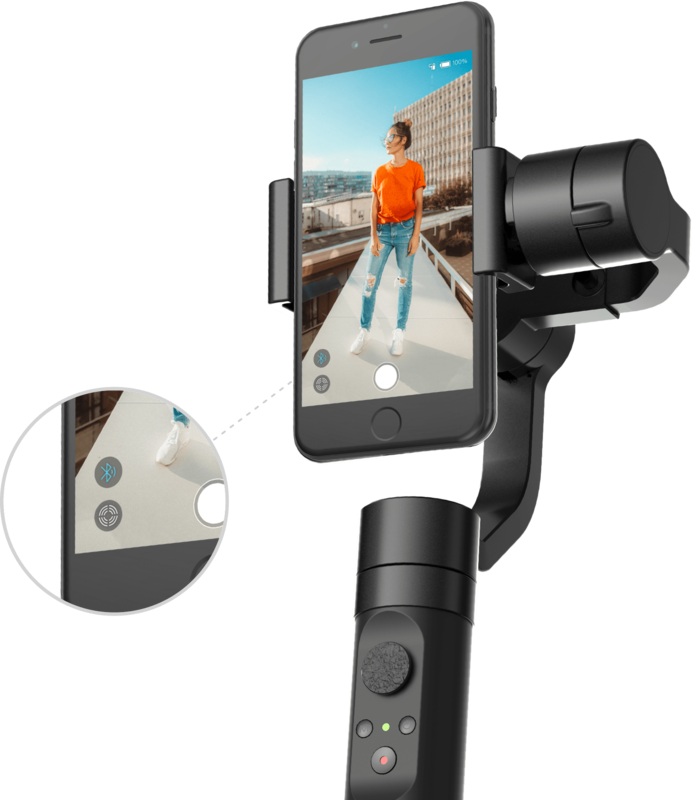 The YI Smartphone Gimbal is a 3-axis gimbal with 3 operating modes, and lets you capture clear, stable images in almost any environment. 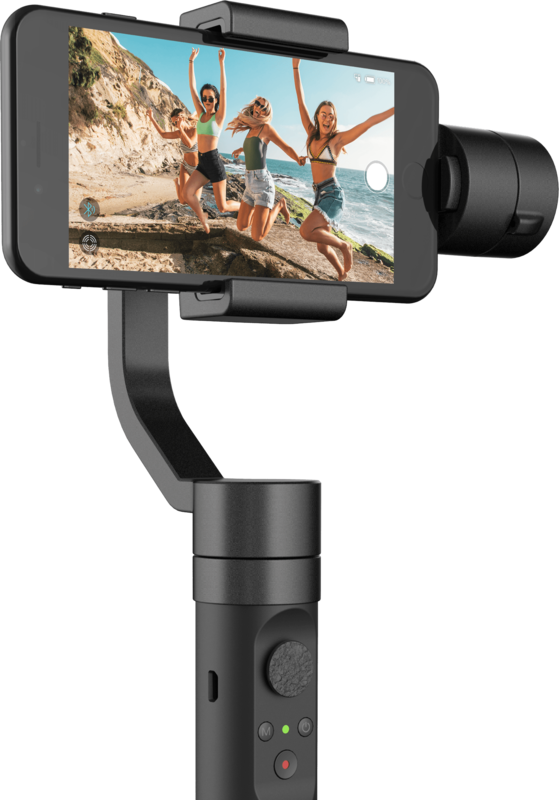 Make everyday smartphone footage look like an epic motion picture. 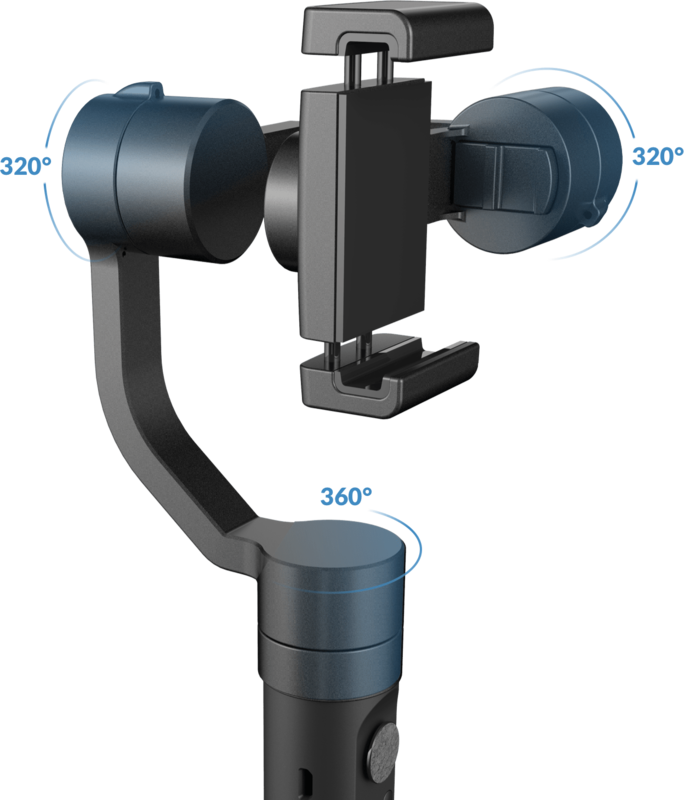 With high precision sensors and brushless motors, footage that is usually prone to shakiness can be stabilized. 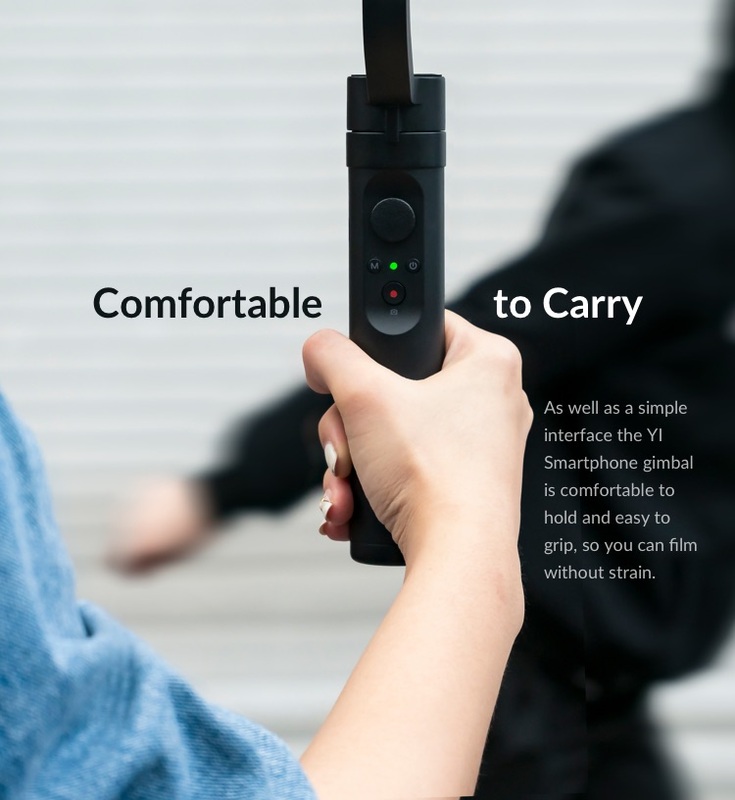 Keep focusing on the fun and let the YI Smartphone Gimbal take care of smoothing out the bumps. 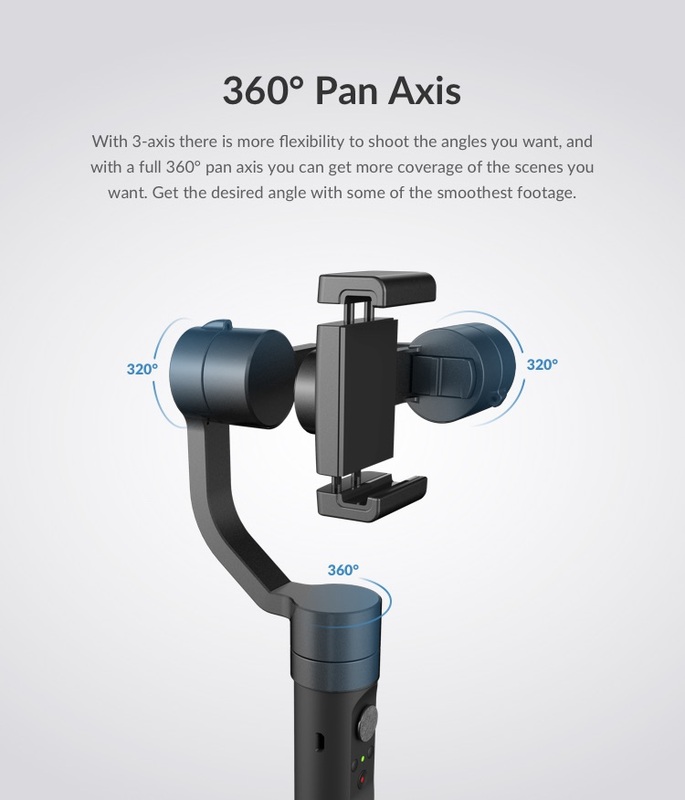 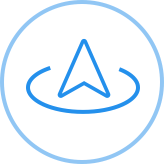 With 3-axis there is more flexibility to shoot the angles you want, and with a full 360° pan axis you can get more coverage of the scenes you want. 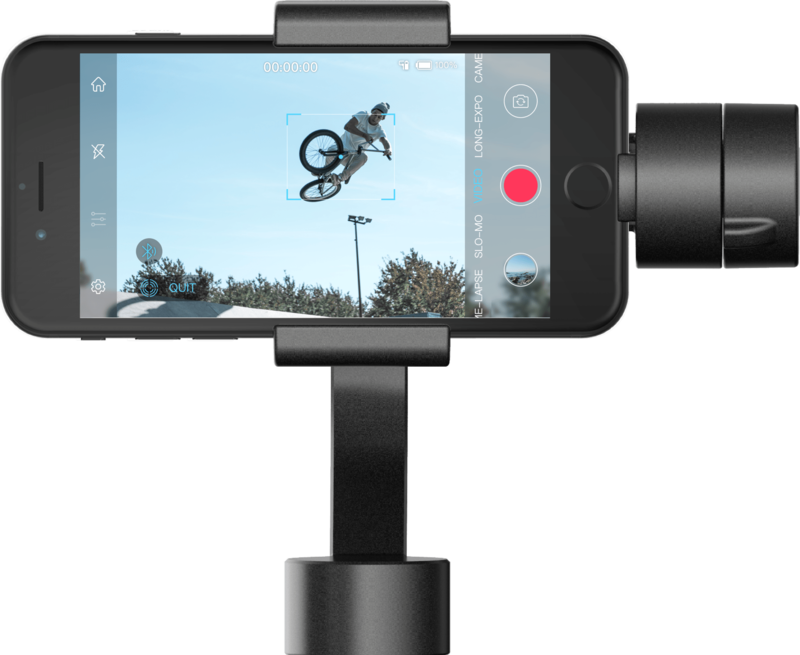 Get the desired angle with some of the smoothest footage. 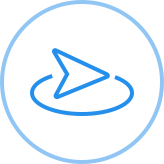 Easily connect to your smartphone using the integrated Bluetooth Low Energy (BLE) 4.0. 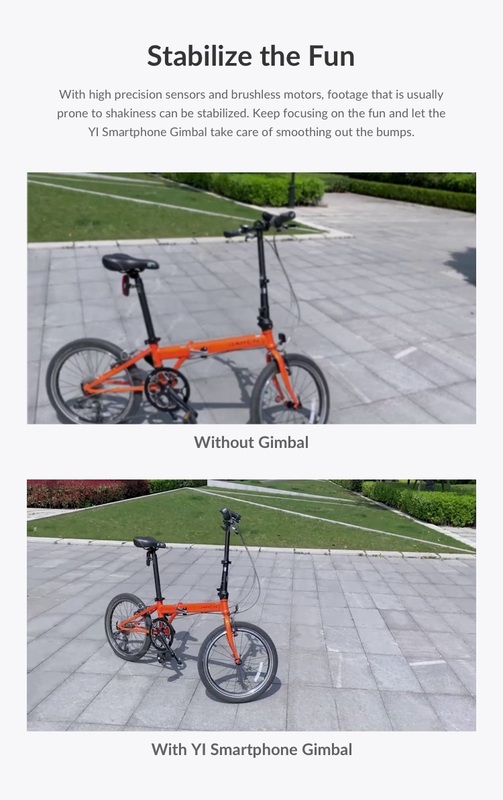 Just turn on the gimbal and connect to your smartphone’s Bluetooth. 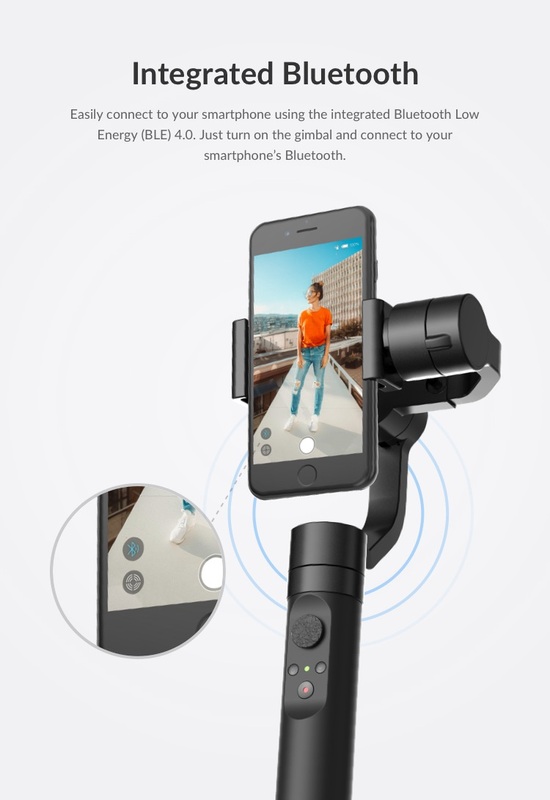 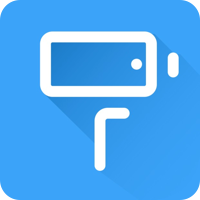 Once connected to Bluetooth you can control your smartphone’s camera from one place, with one hand. 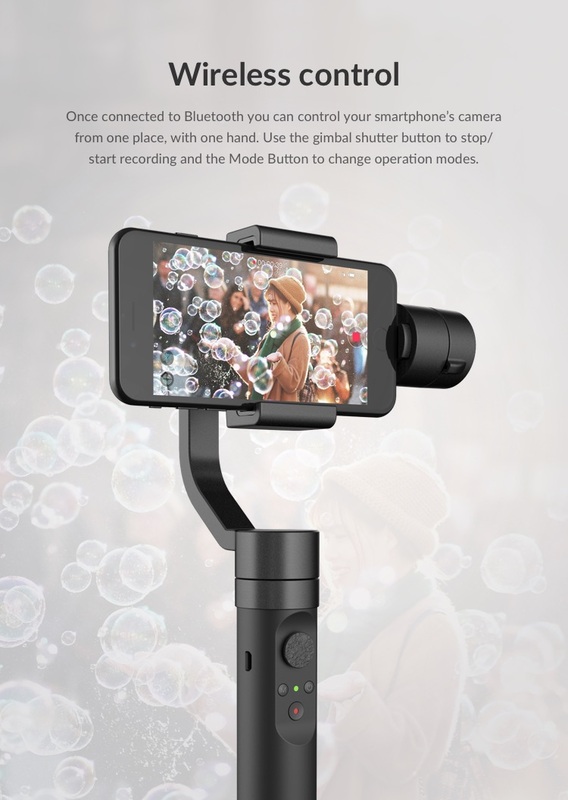 Use the gimbal shutter button to stop/start recording and the Mode Button to change operation modes. 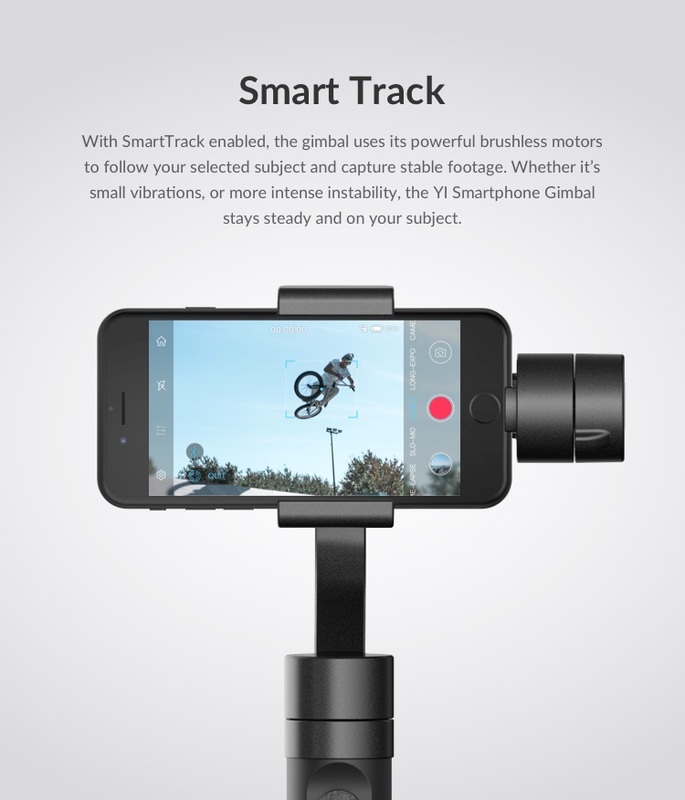 With SmartTrack enabled, the gimbal uses its powerful brushless motors to follow your selected subject and capture stable footage. 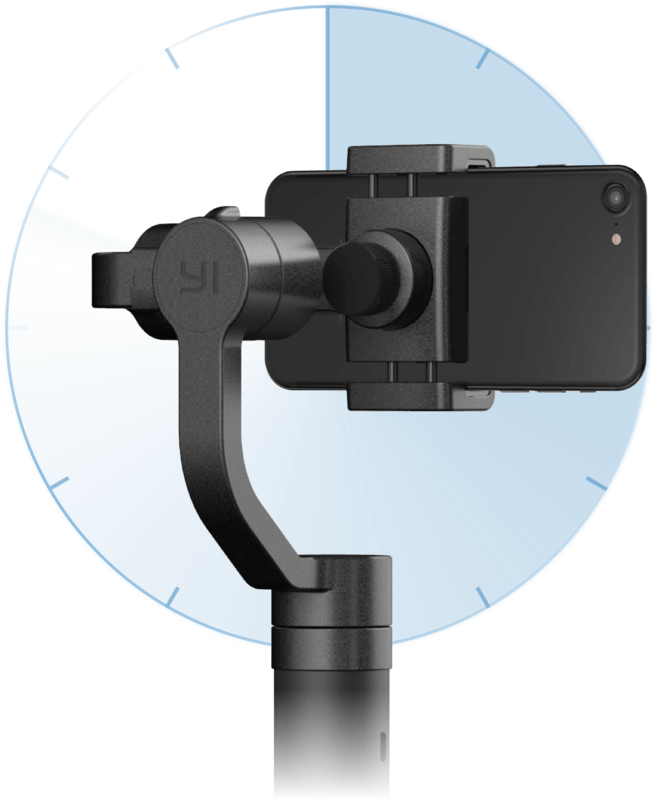 Whether it’s small vibrations, or more intense instability, the YI Smartphone Gimbal stays steady and on your subject. 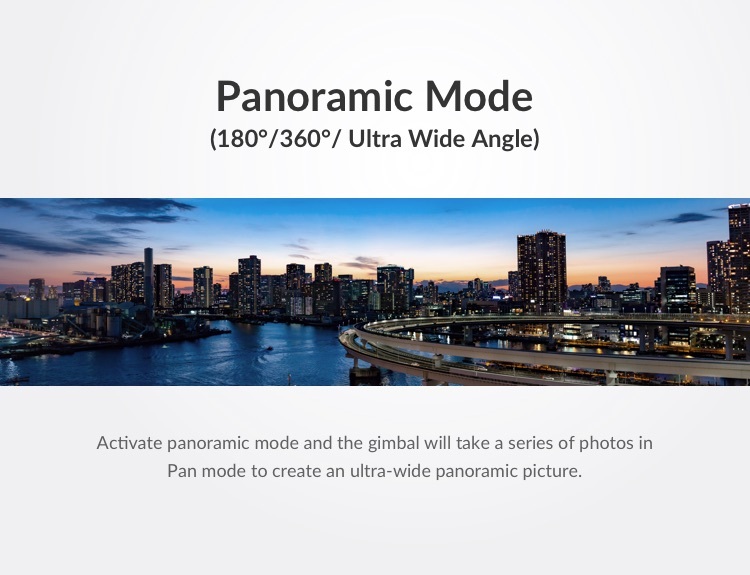 Activate panoramic mode and the gimbal will take a series of photos in Pan mode to create an ultra-wide panoramic picture. 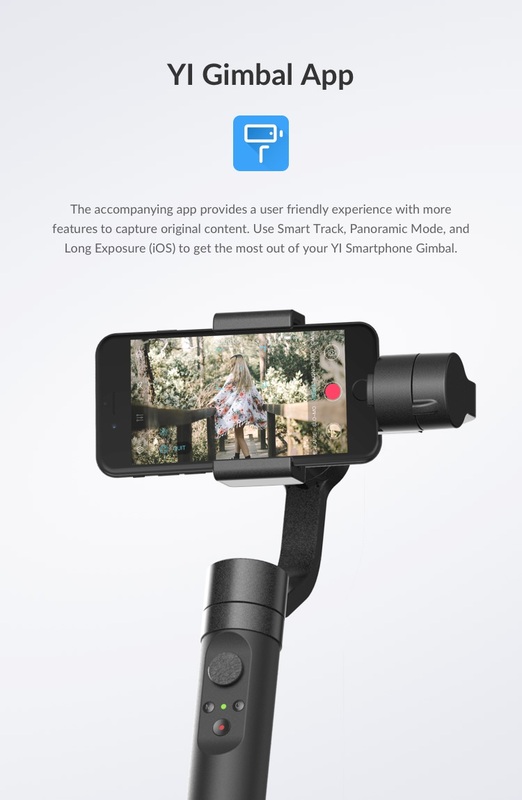 Unlike other handheld gimbals the YI Smartphone Gimbal keeps things simple so you can focus on capturing great footage. 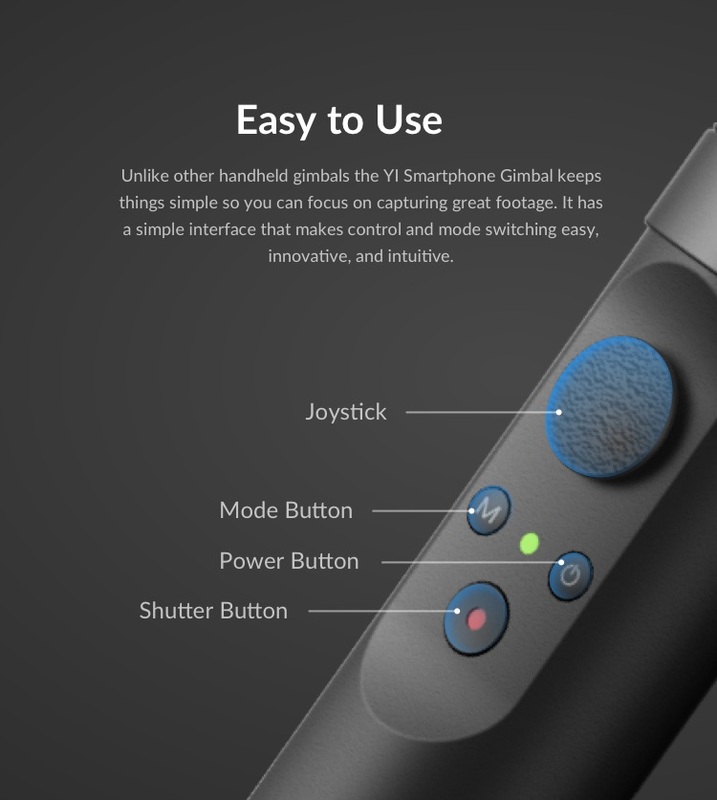 It has a simple interface that makes control and mode switching easy, innovative, and intuitive. 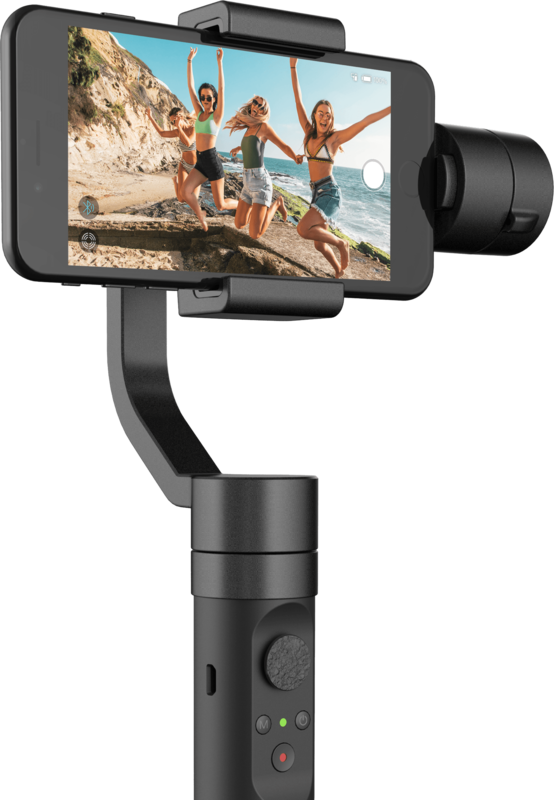 As well as a simple interface the YI Smartphone gimbal is comfortable to hold and easy to grip, so you can film without strain. 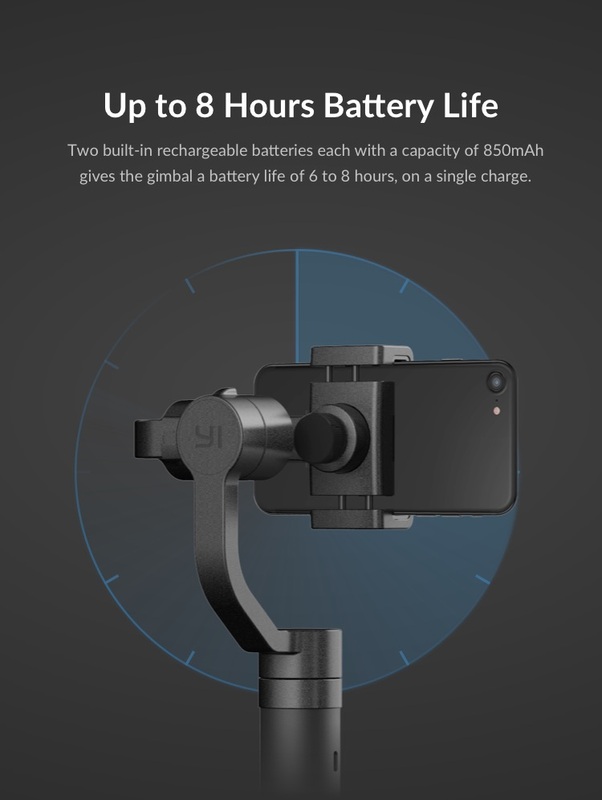 Two built-in rechargeable batteries each with a capacity of 850mAh gives the gimbal a battery life of 6 to 8 hours, on a single charge. 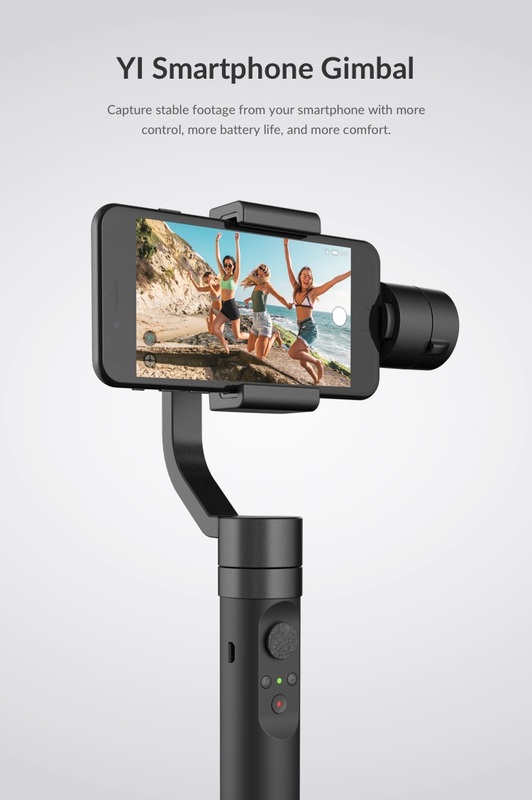 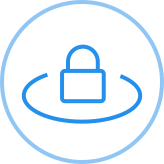 The accompanying app provides a user friendly experience with more features to capture original content. 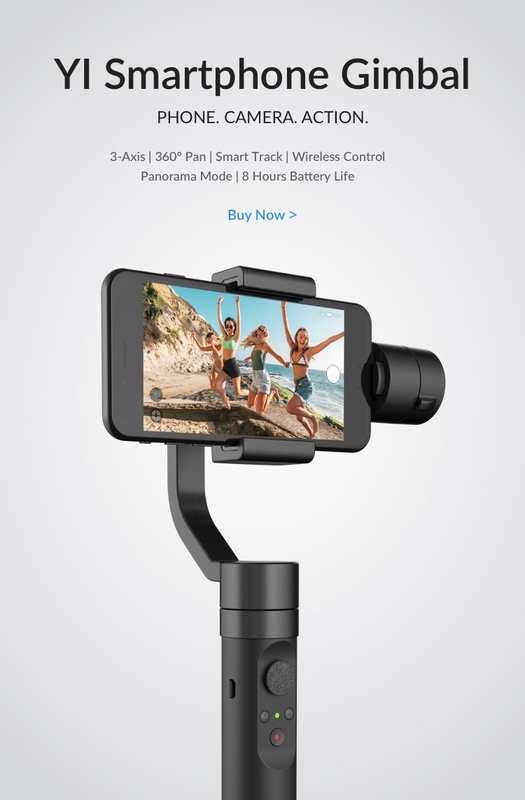 Use Smart Track, Panoramic Mode, and Long Exposure (iOS) to get the most out of your YI Smartphone Gimbal. 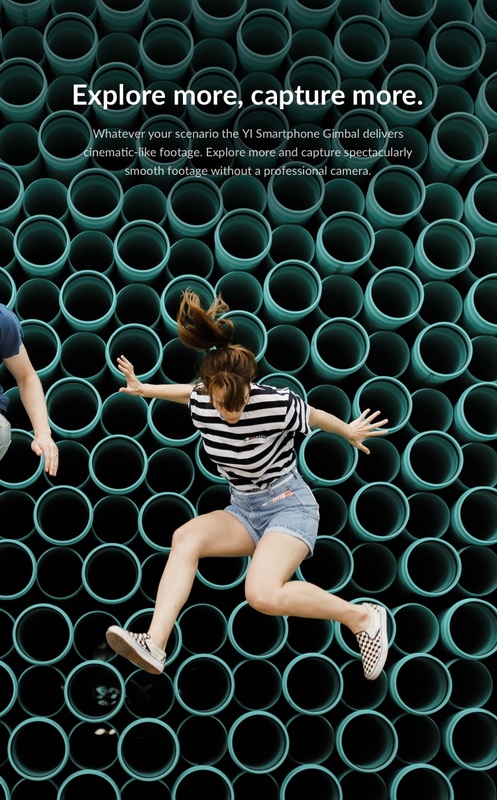 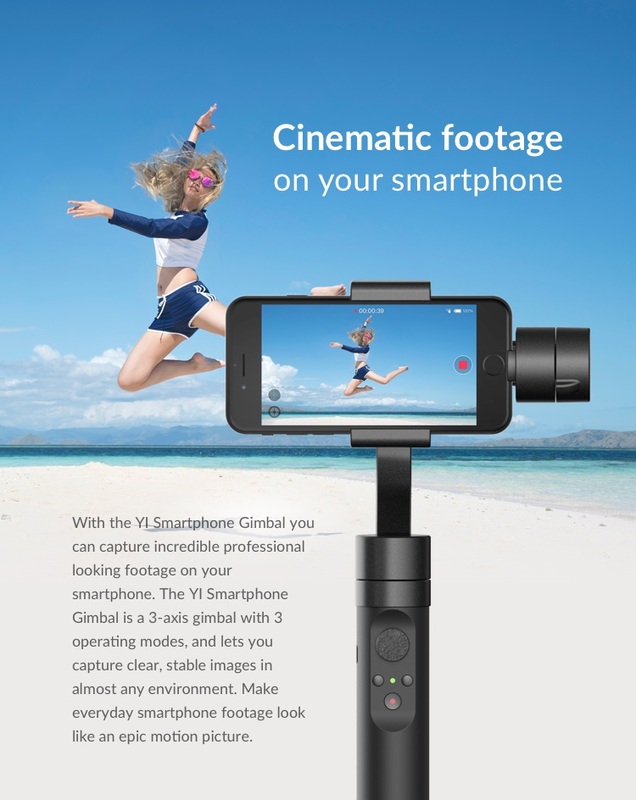 Whatever your scenario the YI Smartphone Gimbal delivers cinematic-like footage. 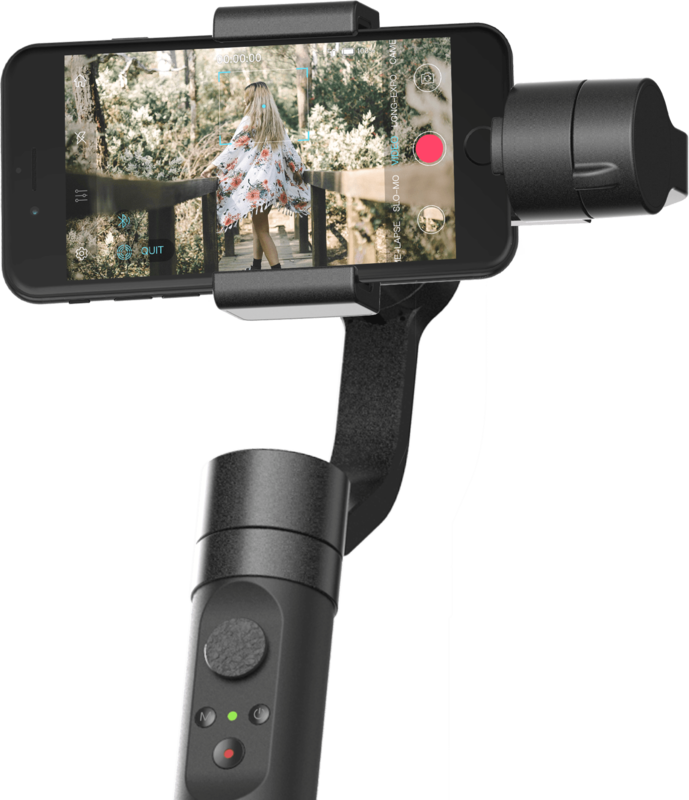 Explore more and capture spectacularly smooth footage without a professional camera. 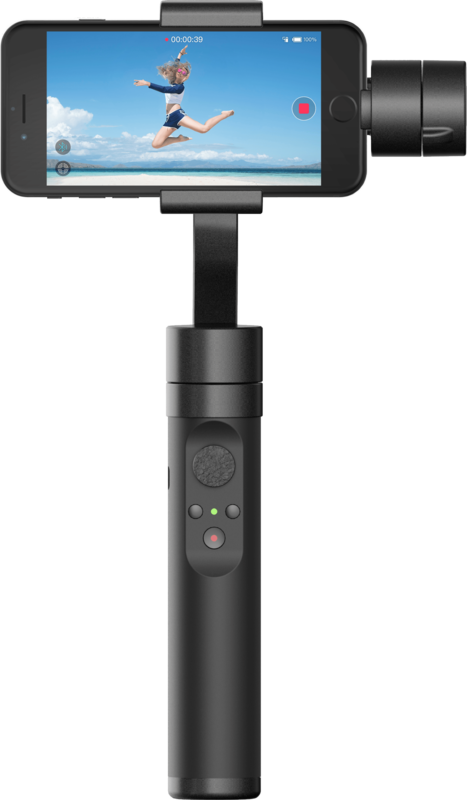 Capture stable footage from your smartphone with more control, more battery life, and more comfort.